There are thousands of Hells, each unique, each terrible. Mega-cities ruled by vicious gangs. Empires where the most perverse are well-respected. Wastelands roamed by prehistoric monstrosities. With the proper tools and know-how... you can infiltrate Hell whether you're dead or not. With the proper tools and know-how, you can break out. 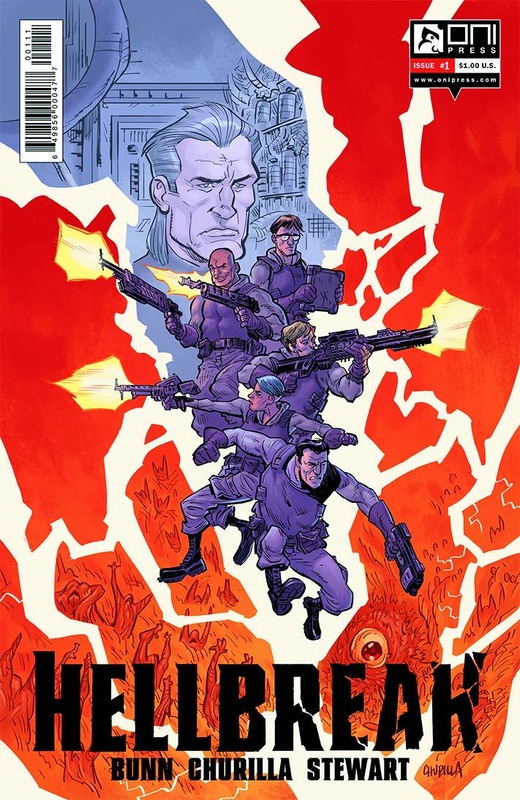 Project Kerberos has developed this forbidden technology, and a special forces extraction team is dispatched to rescue lost souls from the infernal realm.ONI PRESS INC.